Brand marketing and Communications Expert. Executive strategy director at Brandhome. 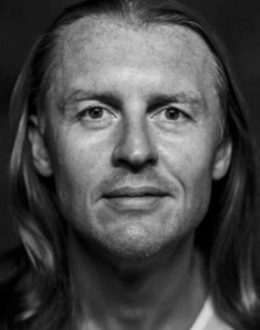 Erik Saelens is a consultant and interim manager with over 15 years’ experience in brand marketing and communications. He currently holds the position of executive strategy director at Brandhome. Erik specializes in rebranding and renaming operations, and has researched more than 300 brand-change operations worldwide. He is also an expert on brand management and M&A and IPO strategies, and draws on a strong operational background when putting these strategies into practice. Erik has a solid track record too as an interim manager, performing various roles for a range of international companies and brands. Until 2002 Erik worked as senior brand adviser to the board of Royal Dutch Telecom KPN in The Hague and Brussels. He was previously employed at Sodexo as a member of the international brand management team, having started his career at Walibi, a European amusement park group. Erik studied Economics at the University of Antwerp. He holds a Master in hotel and leisure marketing, and completed several other brand marketing studies. Erik has written more than 15 books on brand marketing. He also invented the Triple-A brand index and wrote a book on how his team won the political elections in Belgium. He is a regular guest speaker at conferences and universities, and a frequent contributor to specialist sector media in Benelux. He also conducts workshops, sessions, consulting etc. Erik is currently finalizing a new book on rebranding operations. Erik holds Belgian nationality and is fluent in English, Dutch, German and French. Specialties: (re)branding, (re)naming, marketing, sales, communications, internal branding, IPO comms, crisis comms, M&A comms.